Nakheel has signed a joint venture with Thailand-based Centara Hotels and Resorts, paving the way for a Dh500 million beachfront resort on its Deira Islands project in Dubai. The developer had first announced a potential tie-up with Centara in October 2015. Nakheel said that the 500-bed resort would be the second to be completed on Deira Islands after the 800-room all-inclusive resort that will be opened by Spanish operator RIU Hotels and Resorts. It signed a joint venture in February last year and is due to open a resort in the third quarter of 2019. An initial agreement has also been signed with Thailand’s Minor Hotels Group for an Avani resort on Deira Islands but no formal joint venture is yet in place. Centara’s 295,900 square feet resort will be the company’s first property in the UAE and will feature a water park, dining facilities, business centre, kids’ club, spa and fitness centre. It is expected to have a soft opening in 2019 before an official grand opening in 2020. 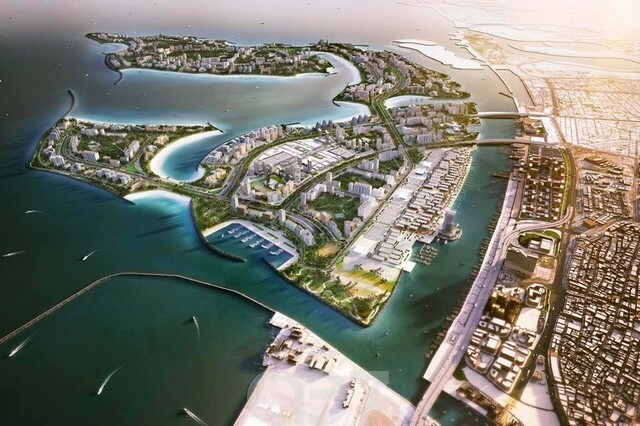 Deira Islands is a group of four islands containing a total of 15.3 sq kilometres of land mass, which will add a new 40km stretch of coastline, 21km of which will be beachfront. The project was initially envisioned as Palm Deira and Nak­heel said that it has already spent Dh3 billion on its infrastructure. A Dh150m access bridge to the islands has just been completed and a tender has been issued for six marinas. Nakheel is planning to build five hotels on Deira Islands, as well as 16 residential towers, two serviced apartment complexes, a new mall and a night souq. It expected the islands to eventually accommodate “hundreds” of new hotels, 250,000 residents and more than 80,000 workers. Centara operates 65 hotels across Asia, the Middle East and the Indian Ocean. Figures from STR Global found that occupancy rates in the Dubai market held up at about 77 per cent in the year to November, despite 6,600 new rooms being added. Average daily room rates dropped by 10 per cent during the period to US$191 per night. All rights reserved to the initial publisher for lighter side of The National.